Friends may call Monday morning from 9 to 10 a.m. at the Frank T. Mazur Funeral Home, Inc., 601 Dundaff St., Dickson City. 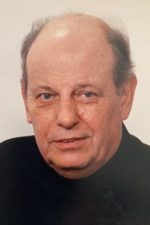 The funeral will be at 10 a.m. from the funeral home with mass of Christian Burial at 10:30 a.m. in St. Mary’s Visitation Church, Dickson City. Interment will be private at the convenience of her family. In lieu of flowers, donations may be made to St. Joseph’s Center, 2110 Adams Ave., Scranton, PA 18509. For directions or to leave an online condolence, visit the funeral home website. 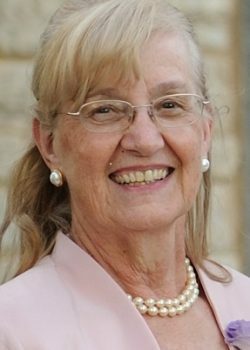 Margaret Balish Brewinski, 79, of Scranton, beloved wife, mother, grandmother, and sister, died Wednesday April 10, 2019, at Allied Hospice, Scranton. She is survived by her husband of 57 years Joseph Brewinski. Born in Scranton, she was the daughter of the late Daniel and Mary Balint Balish, and was a member of St. Mary’s Visitation Church, Dickson City. Margaret was a graduate of West Scranton High School, and prior to retirement she was employed as a service representative with Verizon Communication and GTE Corporation, and was the co-owner of Oakhurst Liquors in Seminole, FL. Margaret is survived by her daughter, Dr. Margaret Brewinski Isaacs and her husband Rev. James Isaacs, and her grandchildren James, Joseph, and Helen Isaacs, all of Potomac, MD; her brother, Thomas Balish and his wife Jean, Groton, CT; nieces, nephews, and cousins. She was preceded in death by six brothers, Army COL Harry Balish, attorney John Balish, Navy CDR Daniel Balish, William Balish, Frank Balish, and Dr. Edward Balish, and two sisters, Mary Kunda, and Helen Balish. Margaret’s family would like to extend their appreciation to Dr. James Klena, Dr. Pius Ochieng, the physicians, nurses, and support staff in the Geisinger CMC Oncology and Emergency Medicine Departments and Allied Hospice Facility. 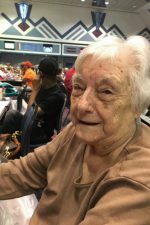 They are also grateful to the residents of the Marshall Apartment Building for their friendship and support and the time they enjoyed spending with Margaret, especially assembling puzzles together.